Instant fun, Just add water! Water activities are a great way to beat the summer heat. 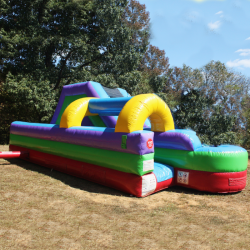 If you are planning a summer event, inflatable water slides and other water activities are a great way to make sure your guests stay cool and have a great time. Slides are a blast! 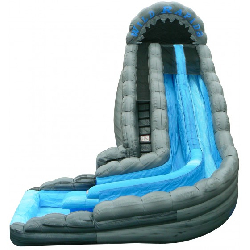 Guests of all ages love going down inflatable slides, especially ones with water. Somehow water makes us all feel young again. 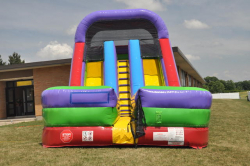 Combo units that have inflatable water slides and a bounce house are fan favorites for summer events. Your guests will be entertained and having fun for hours. 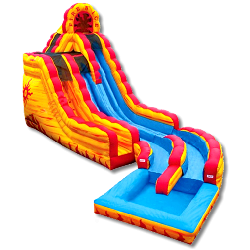 The hardest part will be deciding between the dual lane slide, the corkscrew with slide and pool, the castle combo, the Niagara Rapids, the double splash slide or one of our other popular combos. 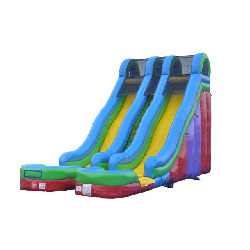 People also love Inflatable obstacle course so don’t forget to check out the Dash-N-Splash. This is a way to challenge your guests and keep them entertained throughout your entire event. Guests who love this also love our water wars rentals. It is the ultimate in water balloon wars. 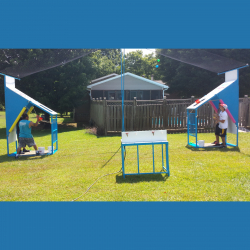 Challenge your opponent to the most epic game of water balloon wars you have ever been in. But remember, others need a turn too. If you want to keep your guests challenged, entertained and laughing for hours, check out our Dunk Tank. 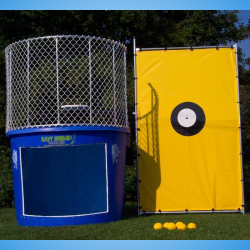 Having a dunk tank will make your guests instantly think of being in a carnival. The most fun part is figuring out who to dunk. Perhaps a parent, a big brother or sister, a teacher, a neighbor, or maybe it’s the birthday boy or girl. You decide, but whoever you choose, don’t forget to take pictures! If you are having an outdoor event, don’t forget tables, chairs and tent rentals. We have those too. 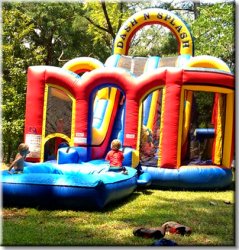 In fact, whatever you need for your outdoor event, we have the party rental items you need. 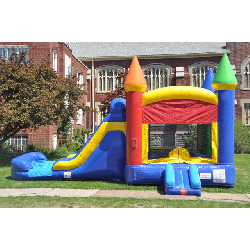 Bounce house rentals, inflatable water slides, tent rentals, dunk tanks, inflatable obstacle courses, we have you covered. Give our event planning specialist a call today, we would love to help you plan the perfect outdoor event. Check us out on Facebook or follow us on Twitter. We would love to see picture of your event. Need some ideas and inspiration for a water themed birthday party or just spending time outside while keeping cool? Check out our Blog for details.